Although there was lamentably no new episode of Supergirl to speak of this week, you can rest assured that the series will return with a vengeance in four days when Teri Hatcher and Kevin Sorbo make their long awaited arrivals (okay, we’re not quite counting their cameo at the end of a recent episode). When the trailer for “Star-Crossed” originally dropped, it quickly became apparent that the characters those two are playing have some kind of connection to Mon-El, who has been harboring a secret for the wealth of this season. And considering that he was addressed as “prince of Daxam,” many of us have put two and two together, assuming they could possibly be his parents. 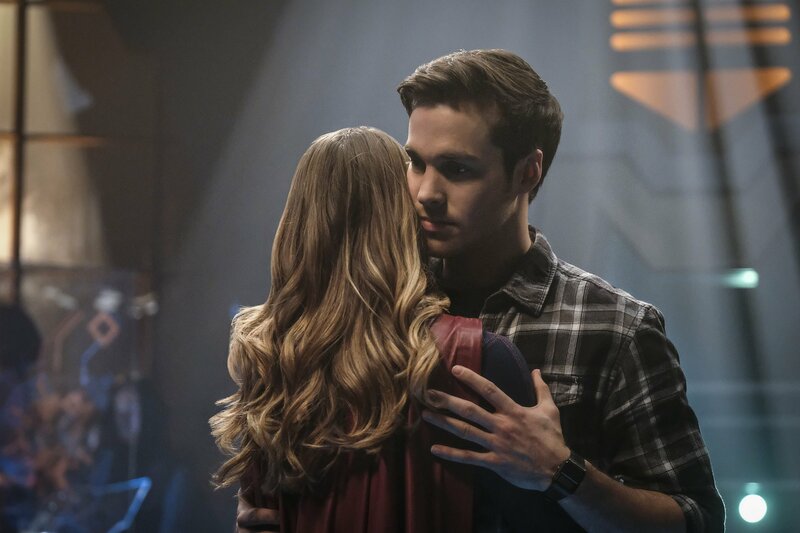 This is further supported by the captions The CW applied to the official images released from said episode, labeling Sorbo as “Lar Gand” and Hatcher as “Rhea.” Those among you who are comic book aficionados are aware that Lar Gand is Mon-El’s real name in the source material, but it seems like the producers may be taking a few liberties – or Mon-El is, in fact, Lar Gand Jr. by birth. We’ll just have to wait and see. As for Rhea, our best guess is that she’s somewhat being based off the Olympian in the comics, as opposed to the one from Doom Patrol, yet still being a mostly original creation. But no matter which proves to be true, it’s known that she’s the big bad for the remainder of the season, so if Kara doesn’t trust her, know that it’s entirely warranted. A new villain (guest star Teri Hatcher) comes to National City, putting Supergirl (Melissa Benoist) on high alert. Meanwhile, Winn’s (Jeremy Jordan) girlfriend, Lyra (guest star Tamzin Merchant), gets Winn in trouble with the law. Maggie (guest star Floriana Lima) attempts to help Winn but old loyalties get in the way. The Music Meister (Darren Criss) attacks Supergirl. John Medlen directed the episode written by Katie Rose Rogers & Jess Kardos (#216). Original airdate 3/20/2017.